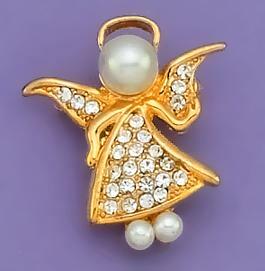 Heavenly Angel Pin with Austrian clear crystals and pearls set in a gold finish setting. 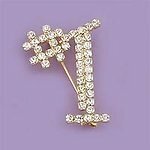 Now only available in Silver. Limited quantities.